Cryptocurrency investors rushed to Ripple Monday, driving the price up 15% in early trading, amid renewed rumors that Coinbase was considering adding it to its offerings. 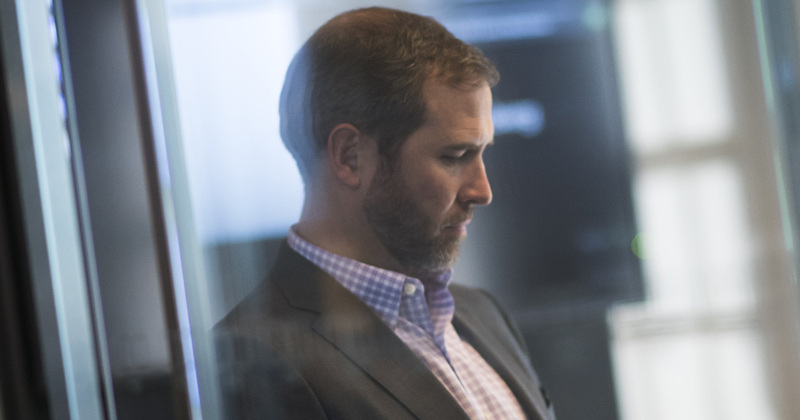 XRP, a digital offering by Ripple that is used for cross-border payments, is fairly difficult to buy, as it’s not offered on most major exchanges. Digital-asset exchanges are emerging as one of the biggest winners of the cryptocurrency boom.The top 10 are generating as much $3 million in fees a day, or heading for more than $1 billion per year, according to estimates compiled by Bloomberg using trading volume reported on data tracker CoinMarketCap.com and fee information on the exchanges’ websites. Kakao Corp, South Korea’s largest messaging app operator, said on Monday it is planning to establish a unit focusing on blockchain technology. SBI Holdings, the financial services arm of the SBI Group, has bought a 40 percent stake in cryptocurrency hardware wallet maker CoolBitX. Coinbase Inc., one of the largest U.S. cryptocurrency exchanges, named Emilie Choi as vice president of corporate and business development. She previously held the same position at LinkedIn Corp., where she worked for eight years. Among more than 850 new words and definitions added to the Merriam-Webster dictionary this month, some cryptocurrency-related words are making their debut. Automaker BMW is working with Circulor, a London-based start-up to use transaction-recording technology blockchain to prove batteries for its electric vehicles will contain only clean cobalt (not using child labor).